Tim was born in Houston, Texas and ended up in the Pacific Northwest in the early 1990’s. He is married to Meg, has two fantastic children, a beautiful daughter-in-law and a bright-eyed granddaughter and smiling grandson. He loves traveling and exploring in the great outdoors. He is Ordained with the Christian and Missionary Alliance and received his BA in Pastoral Ministries and Christian Education at Crown College, just outside of Minneapolis, Minnesota. His MA in Christian Ministry was earned at Simpson University in Redding, California. In 2010 he established the Justice and Mercy Foundation, a non-profit that addresses issues of human-trafficking, poverty alleviation, hunger relief, and outreach to overlooked people. 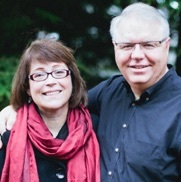 since 2003 and serve as a “pastoral care” couple for international workers in the Middle East. Sheri has lived in Washington long enough to be mistaken for a native, though her propensity for conversation often betrays her “southern roots.” She and Jeff have 3 sons, a daughter and two daughter-in-law which accounts for many hours reading bedtime stories and sitting on bleachers at assorted sports events. She received her BA in Ministry Leadership from Northwest University in Kirkland, Washington and is Consecrated (Ordained) with the Christian and Missionary Alliance. Sheri and Jeff love their kids, people in general, way too many books and road trips! Brad loves his wife Sandra, Chipotle and outdoor activities. He was born in Roseburg, Oregon and has lived in the Pacific Northwest his whole life. He received his BS in Youth/Social Ministry at Crown College and is Ordained with the Christian and Missionary Alliance.